Grants Pass launches it’s Balloon & Kite Festival with a spectacular aerial show that features morning balloon flights, a 10,000 sf American Flag kite (bit.ly/megaflag), colorful giant kites in special shapes, food vendors and other kid-friendly activities, music and entertainment for all ages. MOCK FORD has once again offered the Grants Pass Marching Band and Guard their Drive 4ur School Test Drive Challenge to help with their “March to New York” to be a part of the 2018 Macy’s Thanksgiving Day Parade! 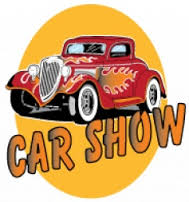 Come down to GPHS on Saturday, June 2nd from 9 am to 6 pm to take a 10 minute test drive in a new Ford vehicle! The band must get 300 test drives in order to be awarded $6,000! This is a no pressure, fun event – you just take a fun spin around the block. HANDS-On-EVENT for YOUTH! An event for youth to have hands on experience with many outdoor sporting events, shooting sports, rock climbing archery, fishing, camping, bird house building, and much more. Ages 6 to 18. Sportsman’s & Coastal in Medford. Collectors West Gun & Knife Show at the Josephine County Fairgrounds, both Saturday and Sunday in the Pavilion. Families can fish with no license! Bait and gear provided at Lake Selmac. Grants Pass Growers’ Market is starting the Summer season at Fourth and F! Join the Downtown Market with local produce growers, Artisans and great food. Every Saturday from 9am to 1pm March 17th, 2018- October 27th, 2018. Races celebrating Siskyou Smokejumpers. Both the 5K and 10K races start at 9am and registration starts at 8am. Please come before 9am to get your bib. The Rogue Valley Rose Society is sponsoring this event. There will be rose displays, roses for sale, demonstrations, and vendors It is being held at the Josephine County Fairgrounds. Employers, your invited to participate! Exhibitors at the Goodwill Job Fair can meet with local job seekers to share employment opportunities at your business. Participation is free for invited employers. Space is limited so reserve your spot today! Rose, a shy dimestore salesgirl whose life centers around reveries and daydreams, lives in a dreary apartment. Into her life saunters Cliff, a hard working, hard drinking truck driver. He is rough and witty and just as starved for love as she is. This play does contain adult language. Art in the Garden – a two day event where private gardens are available to tour and you can buy art. Purchase your tickets at the Museum. 541-479-3290. June 9thh & 10th 10 am – 5 pm. Grants Pass Pinochle Club plays double deck pinochle every Wednesday and single deck pinochle every Saturday at the Grants Pass Duplicate Bridge Club building at 401 NE E St. Grants Pass, Oregon. The Oregon Shakespeare Festival in Ashland opens its outdoor summer season. Porchfests are annual music festivals held on front porches in small towns and large cities across the nation, bringing musicians and neighbors together to build community spirit. A fun, free community music festival held on front porches of vintage homes in the NW Washington Blvd neighborhood of Grants Pass, featuring music in a variety of genres, food, and art; to benefit children at risk in Josephine County. Nearly 90 Musicians performing for your entertainment! Fantastic food! Great Art Show! Streets closed to traffic. Ride your bike! Bring your lawn chairs! Don’t Miss Porchfest! Toby Fund fund raiser to benefit local rural animals-Stand by Me (vet care), Unchain My Heart (dogs chain to yard), spay/neuter. Pizza party, raffles, silent auction, booths, contests, special animal guests, Classic Country Music by Dale & Sharon. Celebrate the award-winning Toby Fund’s contributions to animal welfare. Register online *Bring Med form on first day! Tuesdays through August 7. No concert on July 3. At 23 years old, Gretchen’s authentic, country voice navigates its way into the hearts of listeners. Growing up on a farm in the Pacific Northwest, she surely has her own unique country style, with a bold clarity and warmth in her velvety voice. With Gretchen’s bright personality and a sparkle on her eye, she is sure to captivate the crowd. Come and see this one-of-a-kind production! Heartland Dance Studio is presenting an original full-length Dance Production of L. Frank Baum’s delightful tale, The Wonderful Wizard of Oz. The gymkhana will be held on Saturday and the horse show will be held on Sunday. 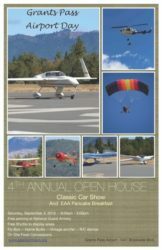 An Open House with antique Vintage aircraft and home built aircraft, aerobatic demonstrations, helicopter rides, a fly-in, and other aerial surprises. Free Shuttles to display areas, On Site Food Concessions. Fun for the whole family. Butterfly Pavilion, Fluttering Butterflies, Crawling Caterpillars and Family Fun with Arts & Crafts, Music & Drink!! Puppet Shows, scavenger hunt, and more. Hard Day’s Night, Southern California’s #1 Beatles Tribute Show has been thrilling audiences with tight harmonies and flawless note-for-note instrumentals renditions of Beatles hits. Hard Day’s Night has honored their show to become one of the most musically and visually satisfying Beatle tribute acts in the world. APPLIED SUICIDE INTERVENTION SKILLS TRAINING (ASIST) Is for anyone 16 or older – regardless of prior experience – who wants to be able to provide suicide first aid. Shown by major studies to significantly reduce suicidally, the ASIST model teaches effective intervention skills while helping to build suicide prevention networks in the community. Continuing Educational Units are available for psychologists, social workers, licensed mental health counselors, school counselors, educators, substance abuse counselors, marriage and family therapists, nurses, police officers, EMT’s, and firefighters. Please make the request prior to training. 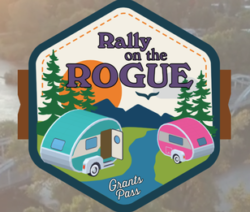 Rally on the Rogue is a three-day vintage trailer rally taking place July 29, 30 & July 1, 2018 in Riverside Park in beautiful Grants Pass, Oregon. Bring your vintage trailer and show off your baby. 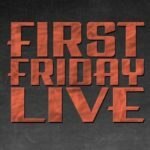 Have fun at the camp site as well as enjoy a Friday night kick-off in the Historic District of Grants Pass.